From the phone call, an initial design meeting was underway at the Business 101 offices. 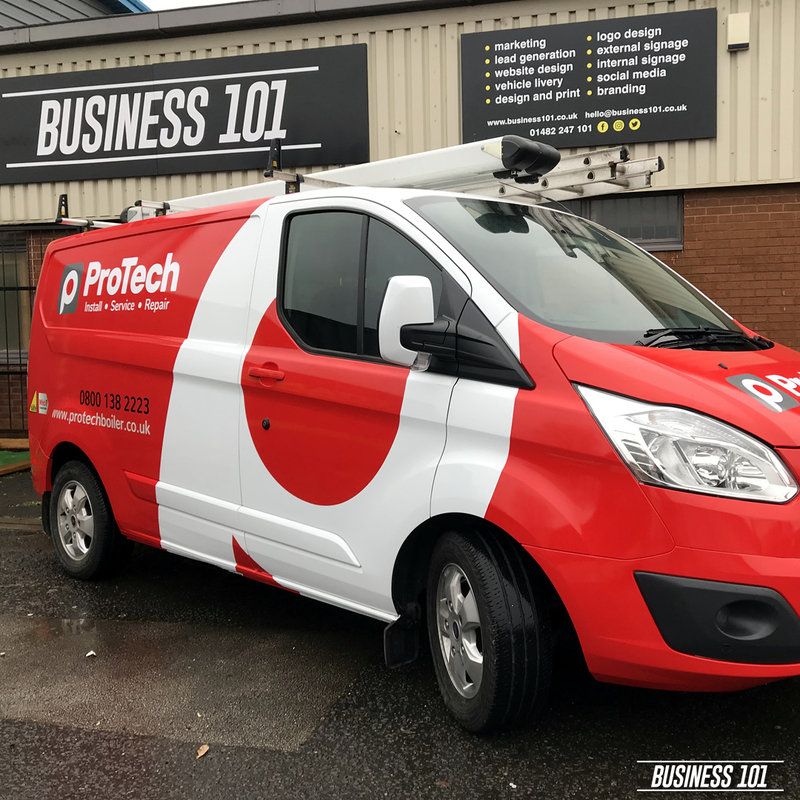 This meant that our graphic designer, Chloe, could meet Paul personally and find out exactly what he wanted from his vehicle graphics. What Paul wanted was to stand out but keep a professional flare to the vehicle. Then Chloe went away and started to design a few variations to show Paul different ideas and possibilities for the vehicle graphics. 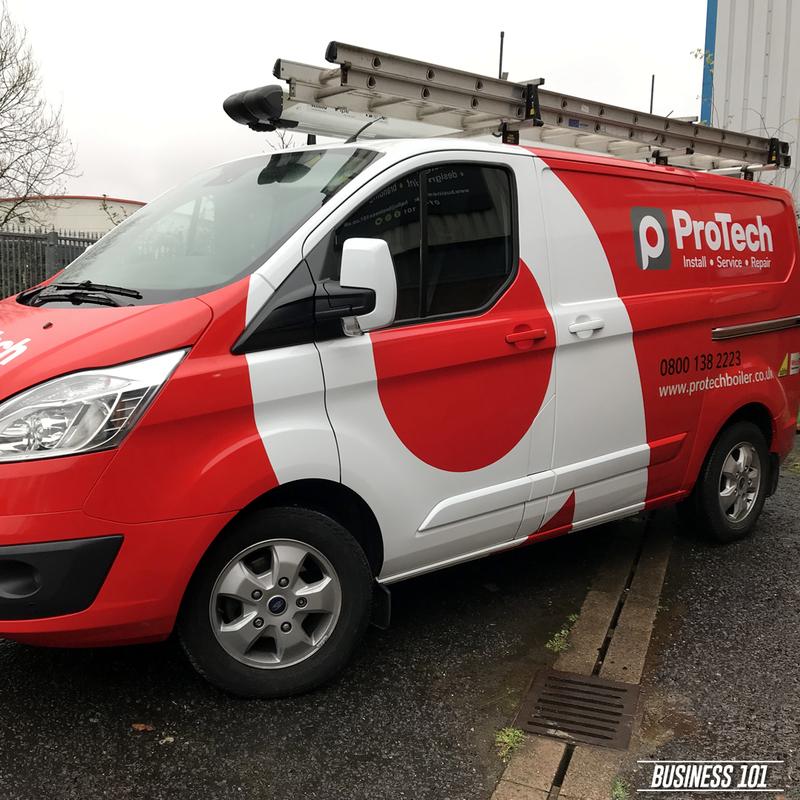 Paul decided on a striking van wrap which would transform a once plain white canvas to an eye-catching cherry red van with reflective graphics which will really help to give a lasting impression. 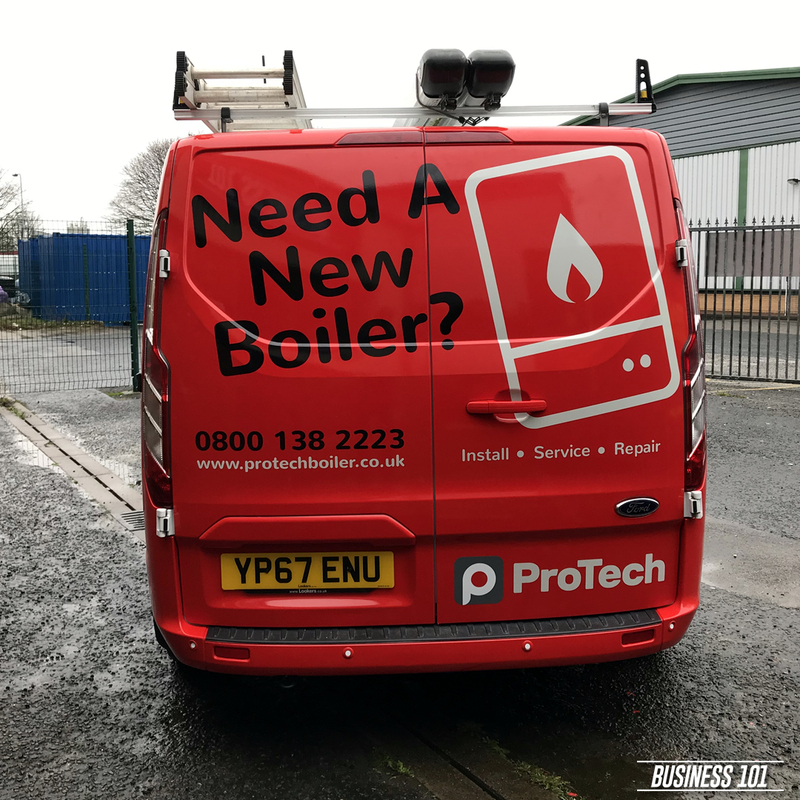 It’s one of our favourites and this is only the first one – we have a few more to complete for Protech Boilers and we cannot wait. 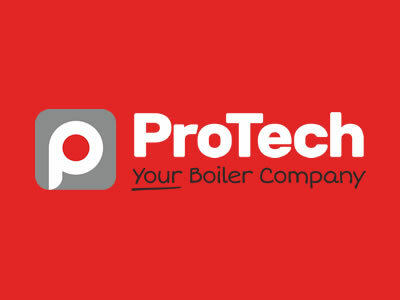 If you are looking for something a little different for your business then we are the right people to call or email. Simply get in touch with us and a member of the Business 101 team will be more than happy to help you.